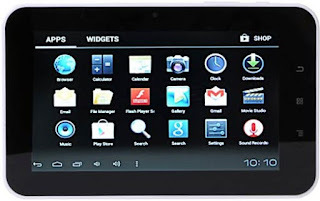 UK company Datawind has launched the new cheapest Android tablet Aakash 2 in India. The tablet will be costing around Rs. 3,500 in the market although it will cost Rs. 2,263 to the Indian Ministry of Human Resource Development. With government subsidies Indian students can buy this new tablet at Rs. 1,130 and now considered to be the cheapest android tablet available. The tablet runs on Android Icecream Sandwich and contains 1GHz Cortex A8 processor, 512MB of RAM, 4GB of memory (expandable to 32GB) and a 7-inch display with 800×480 pixel resolution. After conceding defeat from Barack Obama, presidential runner Mitt Romney’s Facebook page is facing a hazardous reduce in “Likes”. Just three days after presidential election, more than 50,000 fans have un-liked Romney’s Facebook page which currently holds a like count of 12,042,000. You can check how fast the likes are reducing in a graph at the website Disappearing Romney . What’s New in the Forth Generation iPad, iPad 4? Well, there is not much new in iPad 4 as iPad Mini, the popular iPad has already stolen the thunder. Apple has added a new processor A6X to the iPad 4. Overall features are mostly same as iPad 3 but with improved performance speed. Well, there is Retina display, front camera of 1.2 MP and 720 p video recording, lightning connector and some other features which are already docked into the Apple board. To find more details you can check out the review at Mashable.com .